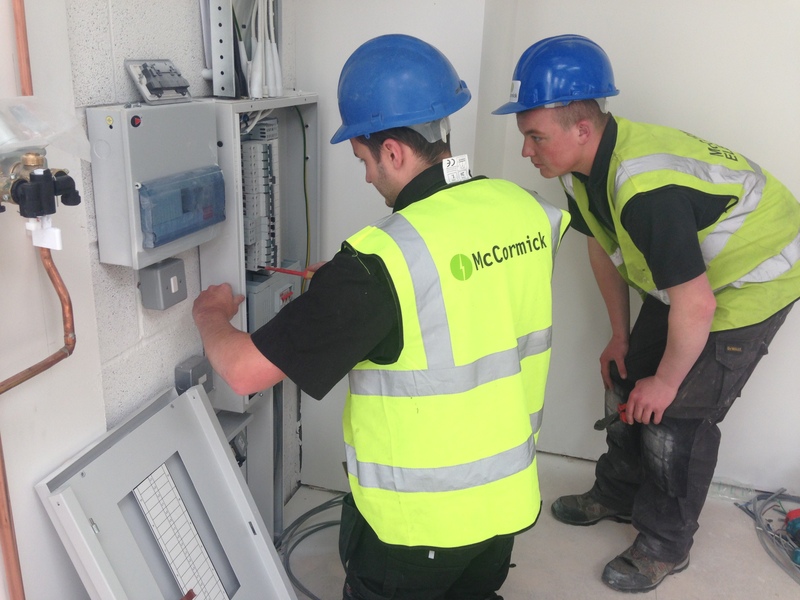 McCormick Electrical has many years experience in providing high quality electrical installations for the commercial market. Over the years we have provided electrical installation work for a wide variety of commercial customers including retailers, offices, schools, restaurants, pubs and bars. As an approved contractor for the NICEIC you can be rest assured that all work will be carried out to the highest standards and will be fully compliant with British Standards, fully insured, and in line with all the appropriate health and safety regulations. Full Commercial Rewires – we can carry out full rewires for all commercial properties, no matter how large or small your business premises. Electrical Fault Finding –we can provide a 24/7 emergency call out service and using the latest leading-edge equipment we can identify precisely where the fault is and identify a solution so that any problems caused by the fault are dealt with swiftly, with the minimum of downtime. Distribution Board Installations – we can manage all aspects of your commercial board installation from single and three phase distribution boards to three phase switch gear and main panel distribution boards. Additional Electrical Sockets/Switches & Repairs – we can supply and install any additional sockets/switches that you need as well as repair problems with existing outlets. 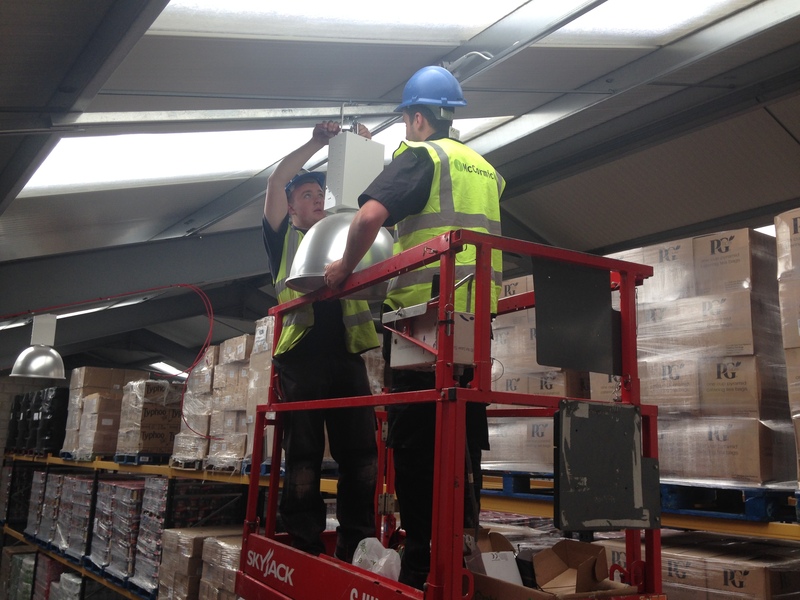 Emergency Lighting Installation – it is a legal requirement for commercial businesses to have appropriate emergency lighting. We can design and install emergency lighting for your business premises and provide ongoing maintenance visits and repairs as required. Thermal Imaging – we can provide a thermal imaging service to ensure that you are maximising on energy savings and to ensure that any potential hazards are identified and dealt with. Fire Alarm Installation – it is a legal requirement for commercial businesses to have appropriate fire alarms in place. We can supply and install fire alarms for all types of business premises and provide ongoing maintenance visits and repairs as required to ensure that you are fully compliant. 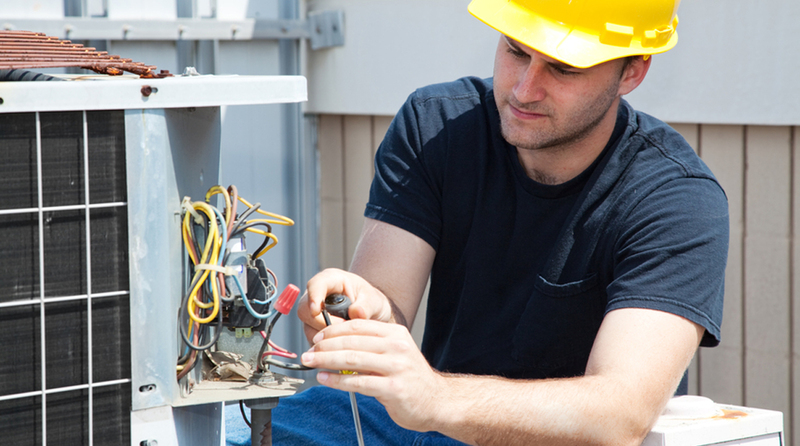 At McCormick Electrical we can ensure that all your electrical responsibilities are dealt with and provide you with an ongoing repair and maintenance service. By working with McCormick Electrical you can be confident that you will be compliant with all legislation and that you will be supplied with all the necessary documentation for insurance purposes. For advice and help with any aspect of your commercial electrical installation requirements then please do not hesitate to contact us. We provide a 24 hours a day/7 days a week emergency service and we are committed to providing all of our commercial clients with high quality electrical installations.